300 lbs. Weight, 58" W x 51" L x 32" H, 14" Cutting Wheel, 20" Above Ground Cutting Capacity, 16" Below Grade Cutting Capaciy, Direct Belt Drive, Commercial-Duty Engine Options, Unique Side-Discharge Frame Automatically Removes Cuttings From Machine, 8 Carbide-Tipped Cutter Teeth, Adjustable Handle Bar. 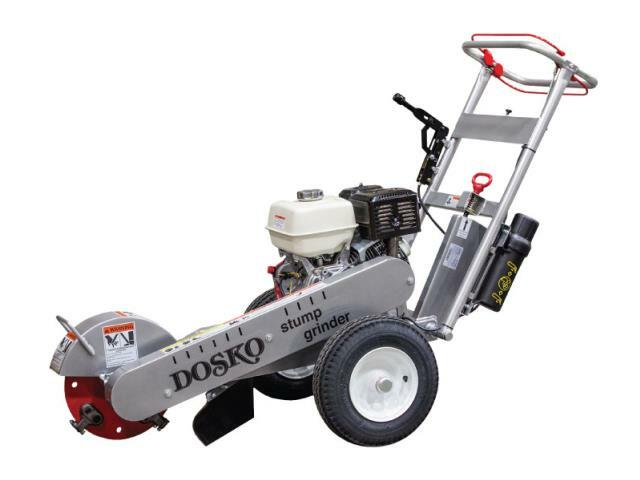 * Please call us for any questions on our grinder stump portable 14 inch wheel rentals in Mount Pleasant MI, Alma MI, and Saginaw MI.